HomeDid You Know?DID YOU KNOW? HOW DO YOU FIND A PROPERTY ADDRESS OF A FORECLOSURE NOTICE? Trying to find a physical property address of a home listed in a foreclosure notice in Berrien County? This tool will help you! 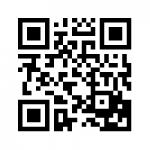 Scan or click the QR bar below.